STORRS - Jean Labutis is 82-years-old and a huge UConn basketball fan. The retired lawyer, who lives in Manchester, said watching the school's men's and women's teams on television gets her through the winter. She learns about all the players and coaches and never misses a game. It calls 40 football games per season airing on ESPN's linear TV networks, 14 more than in the previous contract. ESPN cable networks also will air at least 65 AAC regular-season men's basketball games and at least 13 regular-season women's basketball games per season. 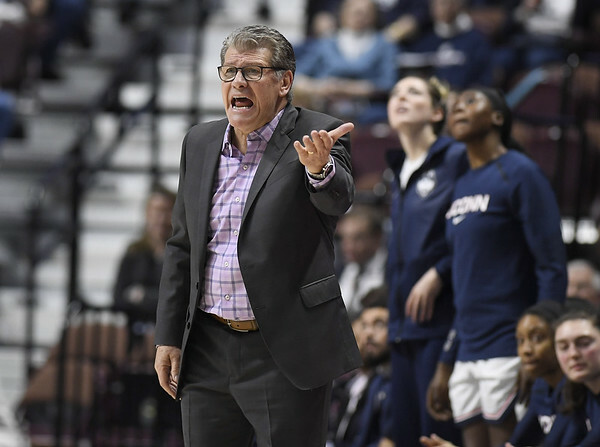 But almost all UConn men's and women's games are currently available on cable, many on New York-based SNY as part of a regional media rights deal with the school. “As far as we're concerned, ESPN-plus is the future,” AAC commissioner Mike Aresco said. "It's an innovative digital platform that you want to be on. In fact, we still have more coverage on the priority networks of ESPN than we had before. Posted in Newington Town Crier, UConn on Thursday, 28 March 2019 21:06. Updated: Thursday, 28 March 2019 21:08.